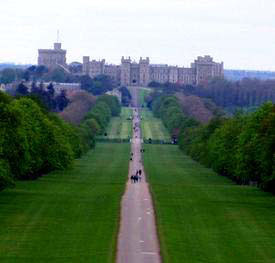 Windsor Castle is without doubt one of the most spectacular castles in Britain, if not the world. Many famous ghosts have been reported haunting the castle, including Henry VIII, Elizabeth I, and a demonic horned being that brings death to all that see it. It has been a Royal residence since the reign of William I in the 11th century. In the 13th century the castle was rebuilt by Edward III, and further improvements have been made by successive monarchs. 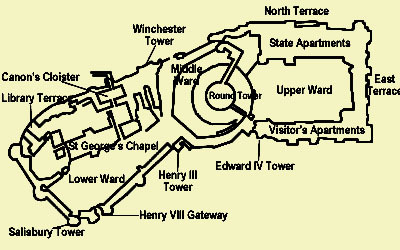 The castle is almost one mile in circumference and is the largest in Britain. Since it was built, the Castle has been embroiled in legends of suicide, witchcraft and demonic ghosts. The list of ghostly sightings reported at the Castle is huge. One of the most famous ghosts reported at the Castle is that of King Henry VIII. Guests staying at the castle have reported hearing the king's footsteps along the long hallways of the Castle. Some have even claimed to hear moans and groans coming from the hallway. One of his wives, Anne Boleyn, has been seen standing at the window in the Dean's Cloister. Queen Elizabeth I is said to haunt the Royal Library and has been seen by several members of the Royal family. The sounds of her high heels are heard on bare floorboards, before her imposing figure appears and passes through the library and into an inner room. She has also been seen standing at the window in the Dean's Cloister. She is always dressed in a black gown with a black lace shawl draped over her shoulders. 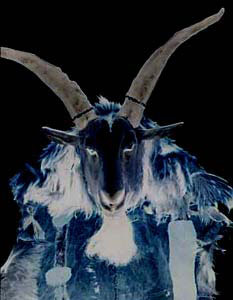 There is a demonic horned being said to bring death and disease to those who are unfortunate enough to see it, especially the Royal family. Other legends tell of witchcraft and suicide. The ghostly hunt's approach is presaged by flashes of lightning, wind in the tree tops, the rattling of chains and tolling of bells and the terrible din of a pack of dogs in mad pursuit. As the legend goes, if you hear the baying of the ghostly hounds in the sky, run away, because if they catch you, you too will be forced to follow Herne and his Wild Hunt, ranging across the night skies for eternity. King George III had many bouts with mental deterioration. During these times he was kept out of the public's eye. He has been seen looking out the windows located below the Royal Library, where he was confined during the recurrence of his illness. Sir George Villiers, The first Duke of Buckingham, is said to haunt one of the bedrooms of Windsor castle. The Deanery is haunted by a young boy who shouts, "I don't want to go riding today". It is probably his footsteps which are heard in the same building. Many spirits haunt the Long Walk, one of whom is a young Grenadier Guard who shot himself while on duty there in the 1920s. During his guard watch, he saw marble statues moving "of their own accord." He was seen by at least two of his colleagues, immediately after his death.